On Saturday, March 23, doctors from Washington University School of Medicine and SSM Cardinal Glennon Children’s Hospital will present practical information on how families can help children on the autism spectrum. United Services for Children will present its seventh annual Exploring the Spectrum autism information fair at the Spencer Road Library Community Commons, located at 427 Spencer Road in St. Peters. Doors open at 8:30 a.m. The event is free and open to the public. The featured speaker is Dr. Natasha Marrus, Assistant Professor of the Department of Psychiatry (Child Division) of Washington University School of Medicine. Dr. Marrus is a child and adolescent psychiatrist and research scientist. Her presentation is titled, “What’s in Your Toolbox: a Practical Update for Families Affected by ASD.” Dr. Marrus will provide guidance on the foundations of management for Autism Spectrum Disorder, as well as highlight key areas of research that are influencing our understanding of ASD diagnosis, assessment and management. These topics will be explained in the context of key milestones during childhood development and the transition to adulthood. Find more information regarding the event and register HERE. It’s that time of year again! 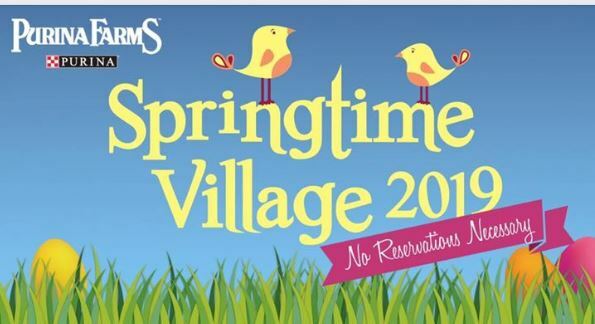 Bring the whole family out to Purina Farms to celebrate the arrival of Spring at Springtime Village! Questions? Please call us at 314-982-3232 or email us at purinafarms@purina.nestle.com. 9​:30 a​.m. – 3​:30 p​.m. NOTE: Kiddie Egg Hunt, Bunny Brunch and Doggie Egg Hunt are taking place on April 13 during Springtime Village. These events are NOT included in Springtime Village and are ticketed events where tickets must be pre-purchased online to participate. 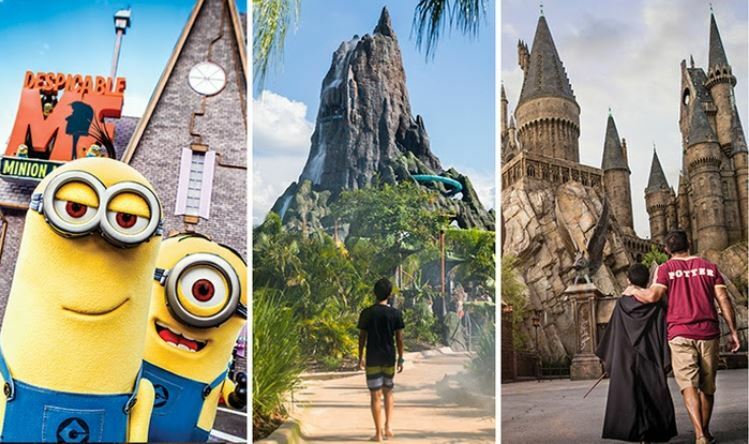 Here’s a fun list of places you can take your families this year so you enjoy some Easter Egg Hunting fun of your own! Hare in the Air returns to Logan University on Saturday, April 6, 2019! The event is free to the community and includes egg hunts for children ages 2-8 as well as fun activities for the whole family. Registration is in person at the event and begins at 9:00am. The bunny arrives by helicopter at 9:30am. The hunts will be divided into age groups of 2, 3, 4-5 and 6-8. Parents will not be allowed inside the hunt area. Friday April 19th 7:30 – 8 p.m.
Join us for a unique egg hunt in our indoor pool! Grab your swimsuit and goggles and get ready to hunt underwater for eggs. Participants will have the opportunity to win awesome prizes and candy. Price includes admission for the registered participant to the Open Swim with Waves session, 4 – 7 p.m. on the event night. Proper swim attire is required for participants. Registration deadline is April 10. Hop on over to Des Peres Park for our annual youth egg hunt! Children, ages 3 – 6 years old, will be able to participate in the big scramble. Our special guest will be the Easter Bunny, so be sure to stop by, rain or shine, with your basket in hand. Bring your camera to snap a picture with the Easter Bunny. This event is presented with the help of Boy Scout Troop 313 and the sponsorship of Great Southern Bank. This event is free and reservations are not required. Thanks to our sponsor, Great Southern Bank! search for eggs in Kirkwood Park by flashlight! This is an outdoor event and is held rain or shine, so please dress appropriately and bring a flashlight and basket or bag. This is a drop-off program. Max of 50 tweens. Please pre-register by 4/5 at Noon. Ages 10-14.
beverages, basket, and flashlight, and we’ll provide the eggs and great prizes! Please carpool if possible- parking is limited. This is a rain or shine outdoor event, so please dress appropriately. Registration begins 7:30; ends 8:15 p.m. Hunt begins at 8:30 p.m.
Pre-register by 4/11 at 5:00 p.m.
Bring your dog to Kirkwood Park to join in the egg searching fun! their humans, dogs will find treats and prizes hidden inside! The Adult After Dark Egg Hunt is now open for registration! The date is April 13th so mark it on your calendar! Or, you could just call in and register now for the area’s premier event! The fee is now $30 per person and includes a hot dinner catered by Texas Roadhouse and your chance to win thousands of dollars in prizes all while hanging out in the park with your friends and using your flashlights to hunt the prize eggs! Bonfires and Music included in the fun! Call 636.282.2380 to register before we are maxed out! Thanks to Arsenal Credit Union who is our corporate sponsor! Please “Share” to invite your friends! 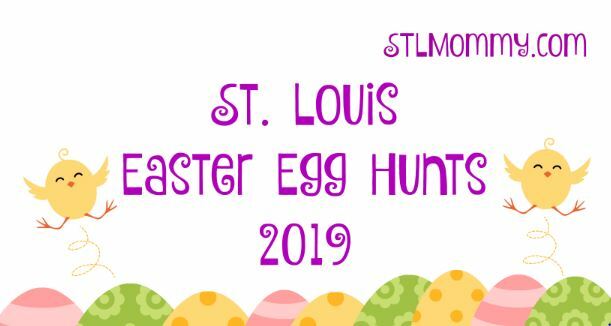 Bring a flashlight and a basket to this adults-only, after-dark egg hunt at a popular St. Louis park. Have fun hunting for more than 4,000 eggs hidden around the park grounds, each holding a special prize such as gift certificates, coupons, adult beverages, treats, and cash. This is a competitive event, the harder you hunt the more you find. Ticket must be purchased online prior to event! No tickets sold the day of. Exact location is emailed once tickets are purchased. Kids’ enrichment activities will be offered from 11 a.m. to 3 p.m. in Schnuck Family Plaza. Everybody likes a food treat, and Saint Louis Zoo animals are no exception! The Zoo’s enrichment team has planned special “egg hunts” for animals. Visitors can also meet keepers at Keeper Chats. Search 250 acres of Jefferson Barracks Park at night for thousands of numbered eggs redeemable for great prizes. Held rain or shine, so dress for the weather. Bring a basket for your eggs, flashlight, and your friends. This event is for adults, 21 years and over. Please do not arrive prior to 7:00 p.m. Registration is now open. Tickets are $10 and non-refundable. All proceeds goes directly to historic preservation efforts in Jefferson Barracks. Online registration offered at: http://www.friendsofjeffersonbarracks.com/egg_hunt_store.php. Call 314-615-5572 for more information. Kiddie Egg Hunts at 10:30 a.m. and 12:30 p.m.
Doggie Egg Hunts at 2 p.m. and 3 p.m.
Join us for our egg-citing annual Doggie Egg Hunt! Admission to the egg hunt includes free parking, two obstacle courses, playtime at two off-leash dog park areas, and access to all Springtime Village activities. Dogs must be well-behaved and on a 4-6ft leash at all times, be up-to-date on all vaccinations and have a visible rabies ID tag. No retractable leashes. Puppies must be 4 months or older to participate. Space is limited! Reservations MUST be made online in advance. Walk-ups will NOT be accepted on the day of the event! Guests should bring their own Easter basket for their dog. Join us for our egg-citing annual egg hunt! Admission to the egg hunt includes free parking, strolling entertainment, photos with the Easter Bunny and access to all Springtime Village activities, including pony rides ($15 value). Egg Hunts are divided among three different age groups: ages 2 and under, 3-5 and 6 -12. Space is limited! Reservations MUST be made online in advance. Walk-ups will NOT be accepted on the day of the event! Guests should bring their own Easter baskets for children. A unique egg hunt will be offered for dogs and their owners! Dogs will search for 10 eggs, each marked with a number, and then turn them in to see if they are prize winners! Other activities include an obstacle course, doggie games and vendors selling unique pet items. All dogs must be pre-registered in order to participate. Adults and children accompanying their dogs are admitted at no charge. Dog owners should bring their own basket to collect the eggs. Dogs must be well-behaved and on a 4-6ft leash at all times, be up-to-date on all vaccinations and have a visible rabies ID tag. No retractable leashes. Puppies must be 4 months or older to participate. Bring out the whole family to Babler Memorial State Park, grab a GPS and go on an egg hunt you will never forget! Eggs will be hidden in various places around the entire park including on trails, under pavilions, in fields and everywhere in between. No previous experience is necessary. Sign up to use one of our GPSs pre-loaded with the egg’s locations and we will give you all the instruction you need. Would you rather use your equipment?? No problem! Use your own GPS and we will provide you the coordinates for all the hidden eggs! Session 1: 9:00 a.m.-12:00 p.m. Session 2: 1:00 p.m.-4:00 p.m. Note:If you choose to use a personal GPS device, you must be able to input Latitude and Longitude coordinates. BablerWiLD is not responsible for lost or damaged equipment. Bring your baskets and your friends! The Egg Hunt is open to all children 5th grade and under, accompanied by an adult. Hundreds of eggs will be hidden! There will be a craft! Guest Appearance by Juggling Jeff!! The Egg Hunt will be held rain or shine (indoor alternate location) and snacks are included. Join us on Saturday, April 13th from 9:30am-1pm for this FREE Easter event for the whole family! We will drop thousands of eggs from a helicopter—and then kids get to go crazy and collect eggs that fell from the sky. We will have bounce houses, food trucks, games, prizes & more! Pre-register today!!! Use the REGISTER button above. Online registration is required. Adult Egg Hunt and Bonfire at Schroeder Park! Bring your flashlight, basket and refreshments. This event is co-hosted by the parks and recreation departments of Ballwin, Manchester and Ellisville. The egg hunt will be held rain or shine. To register please see the Manchester Parks and Recreation website or call 636-391-6326. The hunt will take place at Vlasis Park beginning at 11 a.m. SHARP! The Easter Bunny will be on hand for pictures so make sure you bring your camera! Registration is not required. Hippity hop, Easter’s on its way! The Easter Bunny has been filling thousands of eggs with candy and prizes for the annual Easter Eggstravaganza. Some eggs will contain a slip of paper for prizes. Don’t foget your basket to collect all of your goodies. Children will be grouped according to their age. Children may move to older age groups, but not down to a younger age group. Come early and enjoy fun activities before the hunt and have your picture taken with the bunny. This event will take place at Heartland Park. *Registration is $4 in advance per child and $5 the day of the event. You must have your ticket on the day of the event to hunt. To purchase tickets visit Progress Park Recreation Center, call (636) 332-9236 or Click here to register online. The City of Herculaneum’s 14th Annual Children’s Easter Egg Hunt will be held on Sunday, April 14, 2019. The actual egg hunt will begin at 1:00 PM sharp. The rain date will be Saturday, April 20, 2019, at 12:00 pm. The Easter Bunny will appear at NOON. 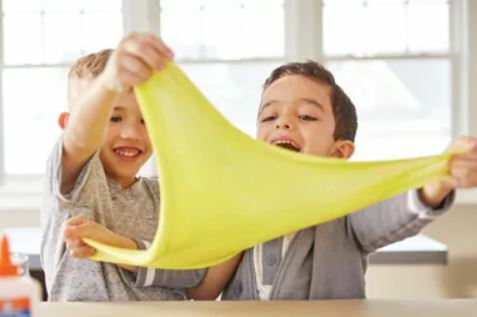 Children will hunt eggs in one of five age groups (up to 12 years of age). . Eggs will contain name brand candy, cash, tickets for special prizes (Easter toys) and other items. Children will need to bring their own basket to collect eggs. Easter cake snacks and drinks will be provided. Parents are encouraged to bring their own cameras for taking photos with the Easter Bunny. For more information, please call , 636 475-4447 or 314 852-4964. Bring your dogs and let them partake in an Easter Egg Hunt for eggs filled with doggie treats and doggie prizes to be won! Grab a photo with the Easter bunny! 12th Annual Adult Easter Egg Hunt; Herculaneum City Park; 16 years of age and older; $10.00 admission in advance; $12.00 at event; tickets limited to 200! ; hunt begins at 8:00 pm – gates open at 6:30 pm. The Pevely Park Board will be hosting its annual Easter Egg Hunt on Saturday April 6, 2019 at Pevely Park 1, located behind Pevely Elementary School. There will be tons of eggs, prizes, photos with the Easter Bunny and Kona Ice will be there as well! Jeffco Shop With a Cop will be having an Easter egg hunt your kids won’t forget! Bring them out to see fire trucks, police cars, and ambulances! We’ll have a police officer in a dunk booth, face painting, and raffles for prizes. Just before the egg hunt starts, a Survival Flight helicopter will fly the Easter Bunny over the field to drop eggs for kids to collect! Please see the flyer for additional details and we look forward to seeing everyone there! Know of more Easter Egg Hunts? Please leave them in the comments! 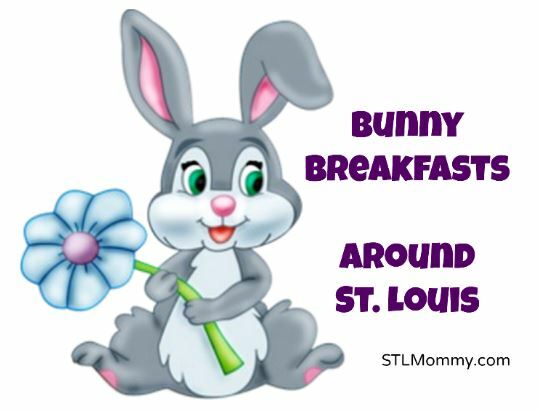 Visit the Things to Do Page for more fun activities and the St. Louis Breakfast with the Bunny event list. 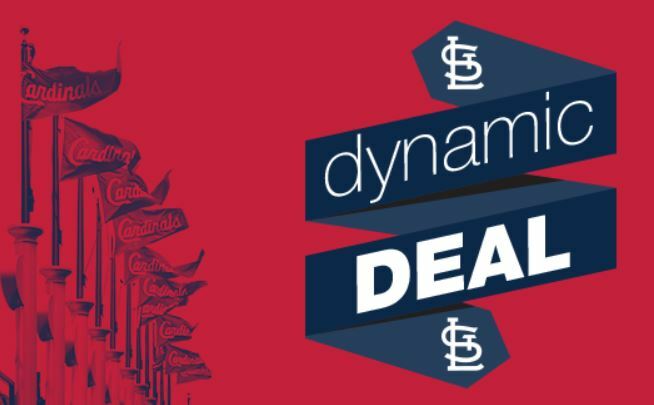 Get the 2019 season started off in style, when Clayton Kershaw and the defending NL Champion LA Dodgers make their only 2019 appearance at Busch Stadium April 8-11. For a limited time, fans can purchase Dodgers week All-Inclusive tickets starting at just $59! It may seem early but if you’re planning a Breakfast with the Bunny event for the kids it’s time to start registering! Here are a few of my favorite events around town. Follow the bunny trail to The Magic House and get your morning hopping at the Museum’s Bunny Breakfast featuring our special guest – the Easter Bunny! Every-bunny will have a great time as they enjoy a delicious breakfast, participate in a fun, hands-on activity, get their picture taken with the Easter Bunny and enjoy all-day admission to the Museum! Reservations required. Hop into spring by bringing your family to enjoy Breakfast with Bunny at the Saint Louis Zoo’s McDonnell Center at River Camp. While indulging in a delectable breakfast buffet, meet our costumed characters and pose for a photo with the Bunny*. He’ll even have surprises in his basket: a gift for children and free parking** for adults. If you need any accessible amenities (wheelchair-accessible tables, etc. ), please call (314) 646-4897 to make reservations. Zoo members: $18/child (ages 2-12); $25/adult (ages 13 and older) Children under age 2 are free. Non-members: $20/child (ages 2-12); $27/adult (ages 13 and older)Children under age 2 are free. Know of more events? Be sure to leave them in the comments! 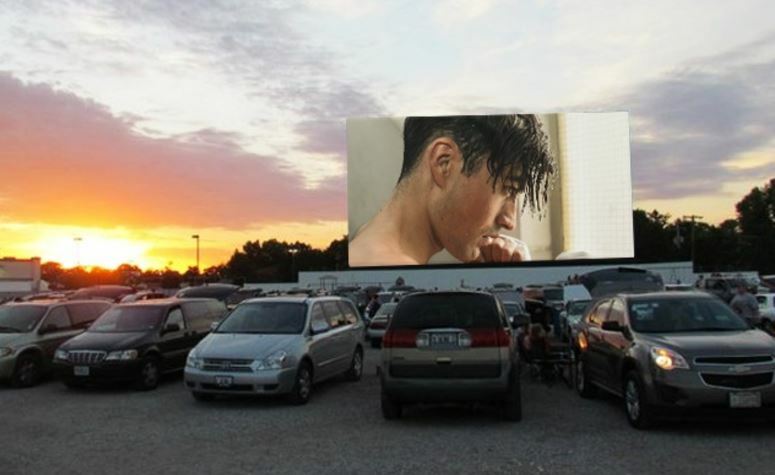 You will definitely want to cash in on these Skyview Drive-In Theater discounts before they sell out. PLUS right now you can save an additional 15% off select activities with the coupon code: SAVE at checkout. 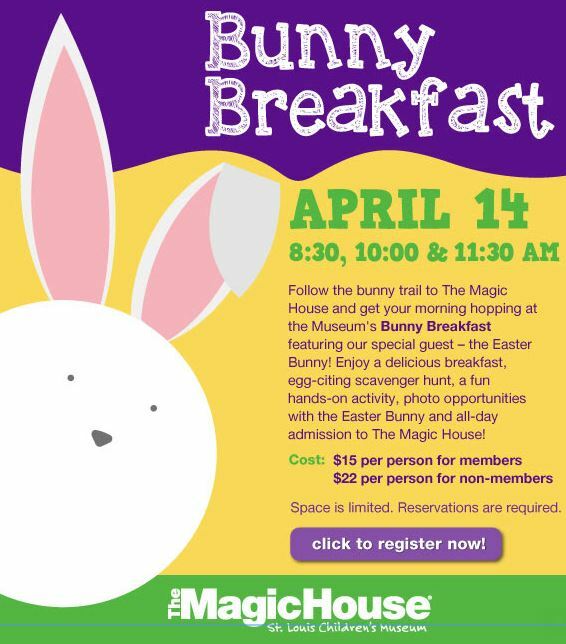 Don’t wait to register for The Magic House Bunny Breakfast scheduled for Sunday, April 14th.